Metro Boomin’ went back into the studio to perfect his recent collaboration with Future on “Maison Margiela” and serves up a new remastered version. 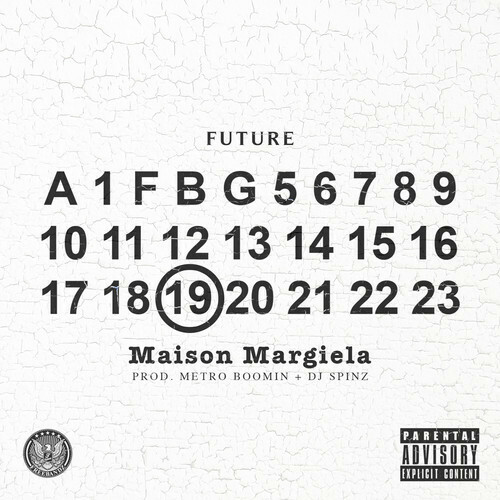 Produced by Metro and DJ Spinz, Future’s latest street anthem is featured on Metro Boomin’s, 19 & Boomin’ mixtape. Take a listen to the finalized version of “Maison Margiela” which finds the auto-tune champ spittin’ that slick tough guy talk. This entry was posted in Music and tagged 19 & boomin, CDQ, future, hip hop, maison margiela, Metro Boomin, rap. Bookmark the permalink.